into a brighter home with our package that’s tailor made just for you. 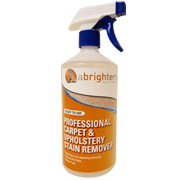 Specialised Hygiene & allergy treatment to any carpets or upholstery being cleaned. Thorough deep cleaning of carpets or upholstery (your choice). Application of our stain protection treatment to all items cleaned. 10% Discount off our standard cleaning rates. basis and enjoy great discounts. We take great pleasure in offering all senior citizens a 5% discount. For peace of mind, why not consider asking us to stain protect your carpets or upholstery when we clean them? Benefits of stain protecting carpets and furnishings: Mother and Baby Home Cleaning Discount Economical & convenient – applied to carpets as we clean. Helps prevent the risk of permanent stains. Every stain protection package includes a FREE bottle of our professional strength spot & stain remover to help future stains & spills. Minimum charge applies. Offers cannot be used in conjunction with any other offer.